Over two million laparotomies are performed every year in the United States. 5–20% of these cases lead to incisional hernia formation, some leading to large abdominal wall defects with loss of domain. 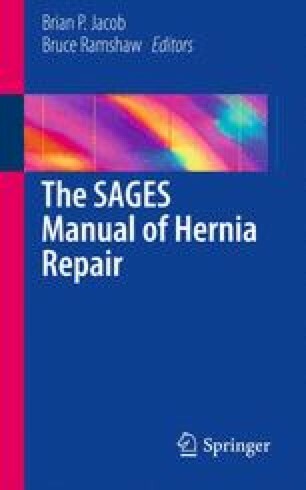 Approximately 160,000 ventral hernia repairs are performed annually, with a recurrence rate of 5–20% in uncomplicated hernias and low-risk individuals. The success of the hernia operations diminishes with larger hernia defects, obesity, and multiple reoperations. In patients with complex abdominal hernias and loss of domain, recurrence rates of up to 67% have been reported. Such cases require particular expertise in evaluation, counseling, and multimodality treatment in order to achieve long-term success. This chapter will address some of the theoretical principles and practical considerations in the management of patients with loss of abdominal domain.